The 6.5×55 mm is a rimless, bottlenecked rifle cartridge. Other less common names are 6.5×55 mm Swedish Mauser, 6.5×55 mm Mauser and 6.5×55 mm Krag. It was developed in 1891 for use in the new service rifles then under consideration by the United Kingdoms of Sweden and Norway. The two nations had independent armies and consequently the normal procedure at the time was for their respective governments to use the same ammunition and then purchase small arms of their choice. Norway adopted the Krag-Jørgensen rifle, while Sweden adopted a Mauser rifle design. The 6.5×55 mm cartridge has a smaller bullet diameter and lower recoil than other full-power service rifle cartridges like the.30-06 Springfield and 7.92×57 mm Mauser, but thanks in part to its relatively roomy case with an uncommon 12.2 mm (0.480 in) diameter bolt face which was designed for loading long, heavy 6.5 mm bullets, has proven more successful than other first-generation smokeless-powder military cartridges of similar calibre. Due to different interpretations of the standard, i.e. the standards of manufacturing using maximum chamber in the Krag vs. minimum chamber in the Swedish Mauser, a small percentage of the ammunition produced in Norway required a heavy push on the bolt handle to chamber in the Swedish Mauser rifle. After the rumour of this difference first surfaced in 1900, it was examined by the Swedish military. They declared the difference to be insignificant, and that both the Swedish and Norwegian ammunition was within the specified parameters laid down for the 6,5×55mm. The militaries of Sweden and Norway loaded their 6.5×55 mm skarp patron m/94 projektil m/94 (live cartridge m/94 projectile m/94) service ammunition with a 10.1 gramme (156 gr) long round-nosed m/94 (B-projectile) bullet fired at a muzzle velocity of 725 m/s (2,379 ft/s) with 2,654 J (1,957 ft·lbf) muzzle energy from a 739 mm (29.1 in) long barrel up to the early phase of World War II and Norwegian occupation by German in 1940. From 1941 onwards Sweden, which remained neutral during World War II, adopted skarp patron m/94 prickskytte m/41 (live cartridge m/94 sniping m/41) ammunition loaded with a 9.1 gramme (140 gr) spitzer bullet (D-projectile) fired at a muzzle velocity of 800 m/s (2,625 ft/s) with 2,912 J (2,148 ft·lbf) muzzle energy from a 739 mm (29.1 in) long barrel. Besides a pointed nose the m/41 D-projectile also had a boat tail. Originally developed for the m/41 sniper rifle, this new cartridge replaced the m/94 ammunition loaded with the M/94 projectile for general use. The 6.5×55 mm cartridge is highly esteemed as a hunting round in Europe (particularly in Scandinavia), and North America. It is used for harvesting most kind of game including reindeer and moose in Scandinavia, while in most other countries it is used for taking deer and other medium-sized game. 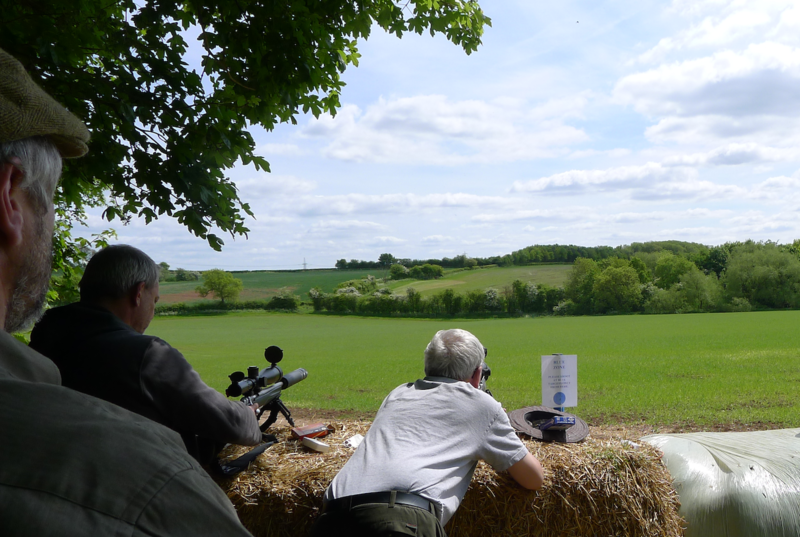 Sportsmen who favour the round appreciate the combination of low recoil coupled with the cartridge’s inherent accuracy and superb penetrative qualities. Because 6.5 mm (.264″) bullets have relatively high ballistic coefficients, the 6.5×55mm has seen success in long range target matches of 300 m (328 yd) – 1,000 m (1,094 yd). The 6.5×55mm cartridge was widely used in biathlon competition until 1975 (when it was replaced by the .22 Long Rifle (.22 LR) rimfire cartridge), because of its inherent accuracy and historical popularity with the Scandinavian nations who have dominated this sport.The 6.5×55mm was and is used for 1,000 yd (914.4 m) target shooting disciplines like F class. The cartridge is also used by Scandinavian target shooters that use the Sauer 200 STR (Scandinavian Target Rifle) as their competition rifle.